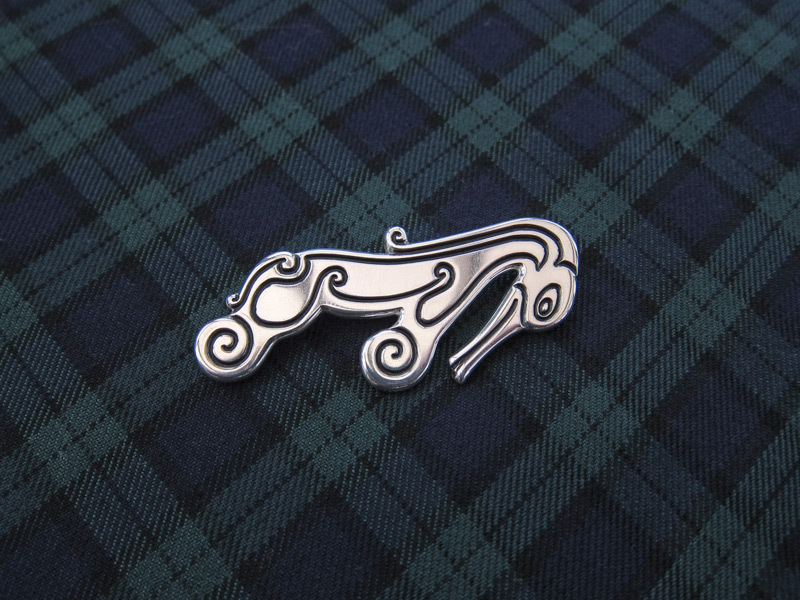 Kilt Pins | What's New at Rainnea Ltd.
We made this bespoke Pictish kilt pin with what is commonly known as the ‘Beastie’ design. There is much speculation on whether the Beastie is a real animal such as an elephant, dolphin or seahorse or whether it is a mythological creature such as a kelpie, dragon or even the Loch Ness Monster…. 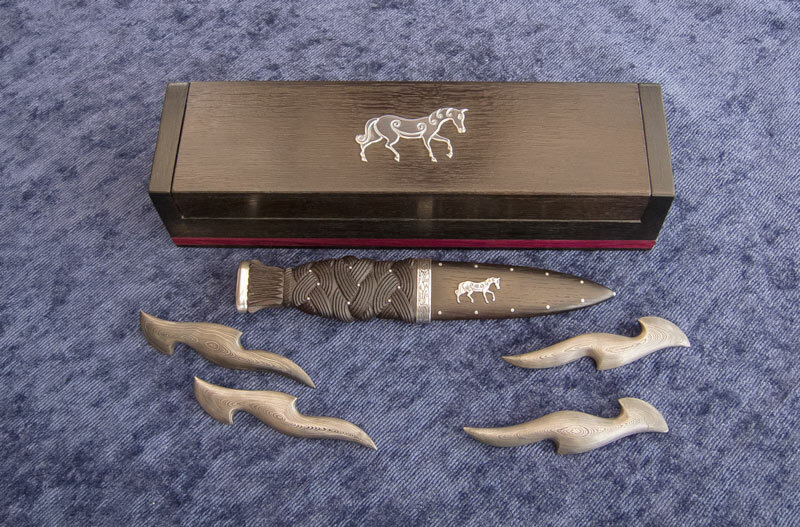 We’ve just completed this complimentary set which was a special commission for Bill and Kay consisting of a Sgian Dubh, two brooches and a kilt pin. 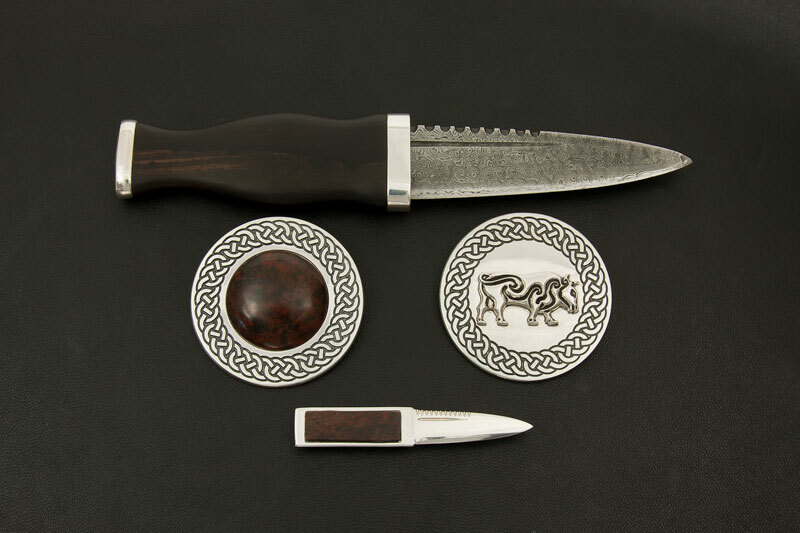 Portsoy Red Serpentine is mounted on the Sgian Dubh, kilt pin and one brooch while the other brooch features the Burghead Pictish bull. 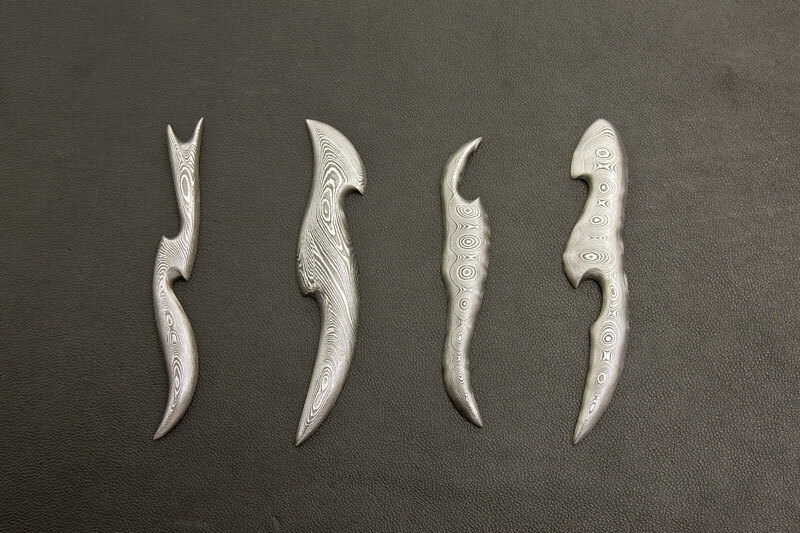 All of the metalwork apart from the Damascus Sgian Dubh blade are solid Sterling Silver and are Hallmarked in Edinburgh to our own maker’s mark, ‘LNS’ (Loch Ness Silver).